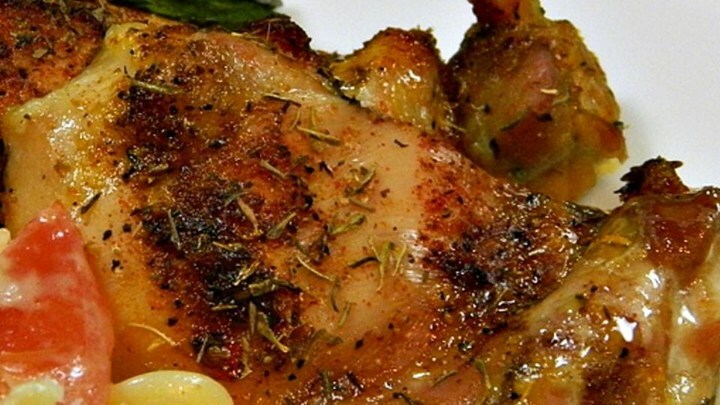 A simple spice blend gives tons of flavor to the crispy skin and moist, juicy thigh meat. This is in the oven in just minutes for a delicious (and budget-friendly!) main dish. Combine garlic salt, onion salt, oregano, thyme, paprika, and pepper together in a small container with a lid. Close the lid and shake container until spices are thoroughly mixed. Sprinkle spice mixture liberally over chicken thighs.